Although not the most glamorous element of your home or business, the septic system performs the essential function to protect the health of the inhabitants, property value and environment. Whether you need an installation, pumping or repair – count on Gillis Construction to get the job done right. 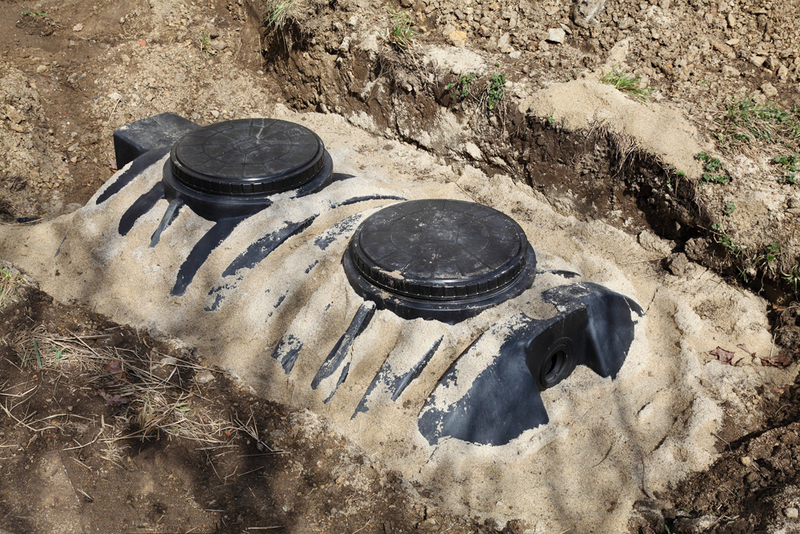 Type of Tank The environment around your septic system, i.e. whether you have gravelly, sandy or clay soil will be important indicators as to which type of tank you should choose. Ideally, sandy, well-drained soils are best. Type of Pump The pump performs the task of ensuring no blockage ends up in your septic system. Do you want a more expensive and often more reliable turbine pump or a more affordable centrifugal? We’ll help you decide. Size of Tank This is largely dependent on your home or business’s daily water usage. You should opt for a tank that is at least 1,000 gallons – but keep in mind the larger the usage, the larger the tank should be. This includes assisting you in selecting the right tank for your property from a wide variety of options as well as installing an entirely new system. Septic Tanks typically require pumping every 3 to 5 years. We will dispose of all waste in a responsible, sustainable manner to ensure the health of your property. Your septic system should be inspected at least every three years by a professional. If you have electric or mechanical components, you may want to opt for annually. Repairs may be necessary to keep your septic system running at max capacity. A damaged system can contaminate ground and surface water if not attended to. Septic tank cleaning can cost just a few hundred dollars – while a new system starts at around $5,000. Regular maintenance and cleaning will help you to maintain the health of your system, but what are some telltale signs it needs attention?